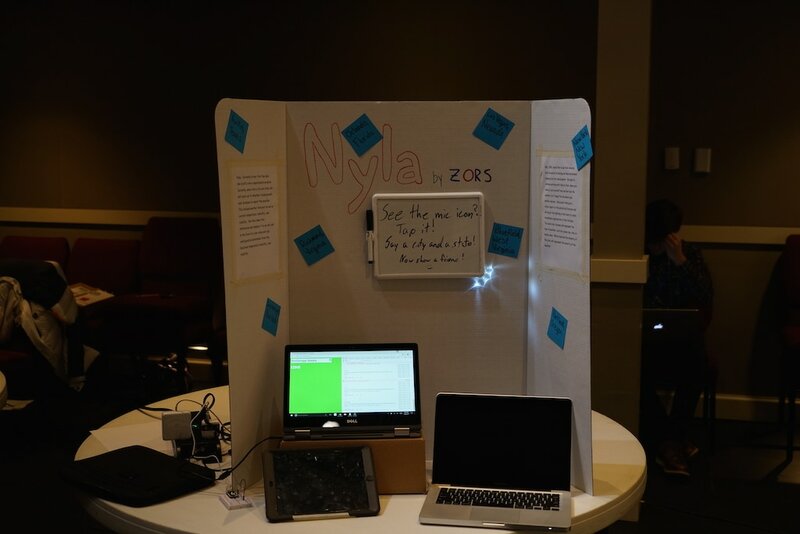 Our product is called Nyla. You can say the name of a city and its state into the microphone to find out what the temperature is like there. The temperature is displayed by a color on the laptop screen. The color corresponds to the temperature. With further development, Nyla would respond to normal English speech such as, “Nyla, what’s the weather like in Dallas, Texas?” The type of weather would then be displayed by different colors, hues, and harshness levels from the light. The color would be determined by the type of weather. The hue would represent the severity, while the harshness would represent the temperature. Along with this ambiance, Nyla would give verbal feedback.